I’d love to know if this shoe would be appropriate for hallux limitus/rigidus. Thank you so much for the quick response–it is very difficult to get accurate information on athletic shoes for this condition. Thank you for another great shoe review. Your reviews have points that go un-noticed in other reviews. For example in this review pointing out widening the medial post. I was just going to buy new shoes and was down to asics 2000, mizuno wave inspire (but the arch feels pointy in this so probably not). I will now try the supernova. But a quick look tells me it’s a heavy shoe. In terms of support. 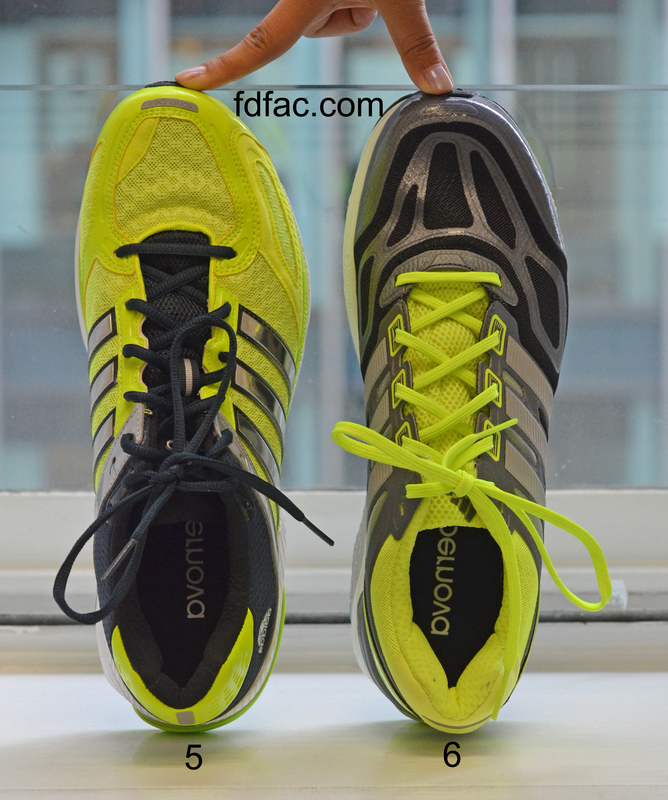 Supernova Sequence 6 and Mizuno Wave Inspire 9 provide more support against pronation than Asics GT-2000. Of these three shoes, Asics GT-2000 is an ounce heavier than Adidas Supernova Sequence 6 and Mizuno Wave Inspire 9. 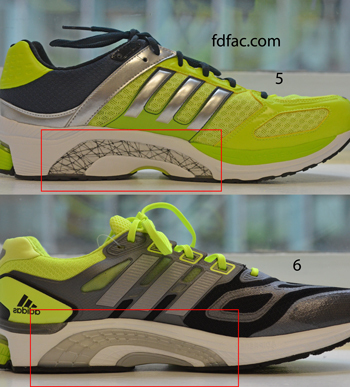 Many folks are complaining about the fact, that the 6th generation of Sequence is a very narrow shoe. I run in Supernova Sequence shoes since the 3rd gen. I’m currently running in SN Sequence 4 model and I’m about to change it to 5 or 6. I’m afraid, that Sequence 6 could be to narrow for my foot. What’s your opinion on that issue? Here is my Supernova Sequence 4 review. Supernova 6 is narrower than version 4. However, since the structure of Supernova Sequence 6 surpasses that of 4, then I would try a pair this first, before making a change. If, after trying a pair on, the shoe seems too tight, then I would try one of the following: Mizuno Wave Alchemy 12, Asics GT-2000 (wide) or Brooks Trance 12. All have a rectangular last and are comparable to Supernova 4. A specialty running shoe store should also be able to make a recommendation. Let me know what you settle on, as I am sure other readers would also like to know. Can you tell me if this tennis is one of the best for flat feet? The shoe fad in the triathlon world is swinging from minimalist Newtons to ultra-cushioned Hoka’s. After an ACL tear, my doc told me to stick with a good stability shoe rather than switch to a thick cushioned shoe- stability trumps cushioned. I’ve stuck to that advice and have had no knee issues in the many years since ACL surgeries on both knees while competing in marathons and Ironmans. My friends are all switching to Hoka’s and trying to get me on the bandwagon. Thoughts? Great question. 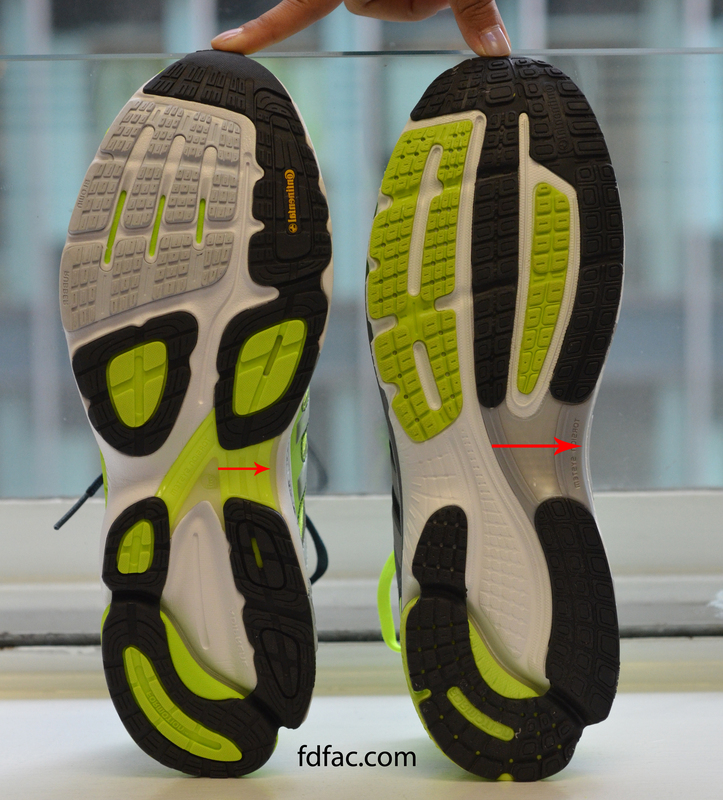 I am a fan of Hoka One One (not as much with Newton) and have recommended them for several of my patients.However, with your history of prior ACL surgery and pain free running while wearing stability shoes, I would not change. Knees which have had surgery, or are prone to other issues such as infrapatellar syndrome or chondromalacia patallae (ITBand too) are oftentimes made worse with minor changes in shoe type. In these cases, whenever I find a structure that works for a particular runner I stick with it. Again, there is no “perfect” shoe for every runner or every sport. What’s important is that you find what your alignment needs and support it. I bought sequence 6th and I am stil not convinced it was good option even after 100km.Running in s6 I feel pain above cube after 5-8 km.I wanted to check this issue and I come back to old sheos.I found the problem doesn’t appear in previous shoes. I think s6 are not for a long distance.